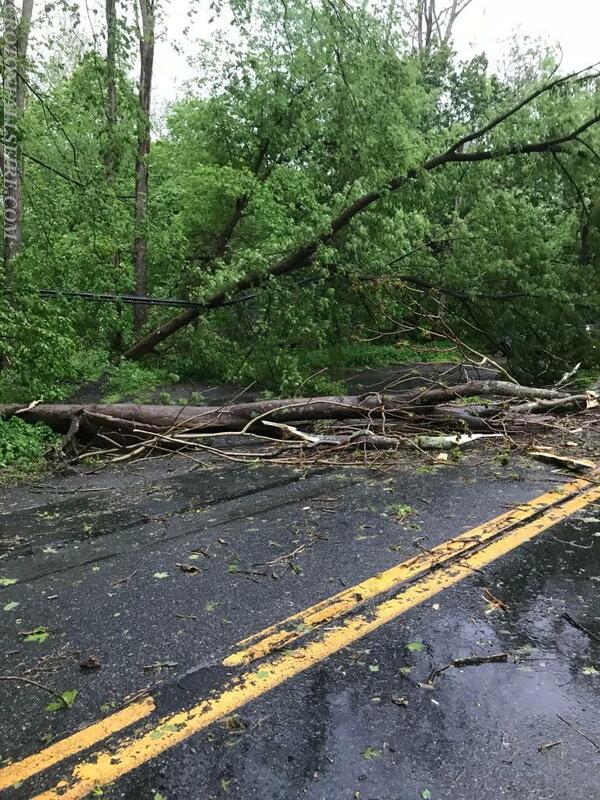 On the afternoon of May 15, 2018 a fast moving, powerful storm made its way through the Croton Falls Fire District. Firefighters and units from both firehouses were answering calls into the early evening. 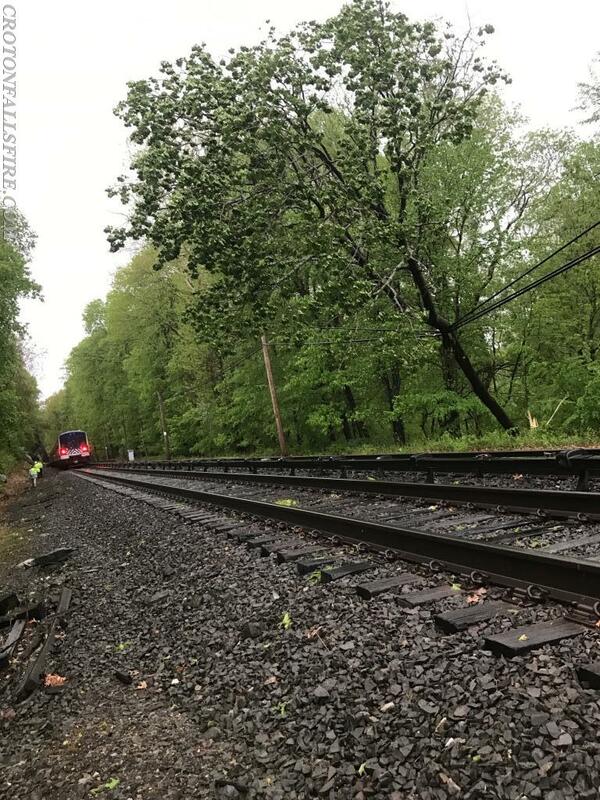 Calls for service ranged from a tree that fell on a home, wires down, trees across roads, cars trapped by falling trees and an assist to the MTA to help evacuate 99 passengers and crew members from a train stuck near the Croton Falls station. 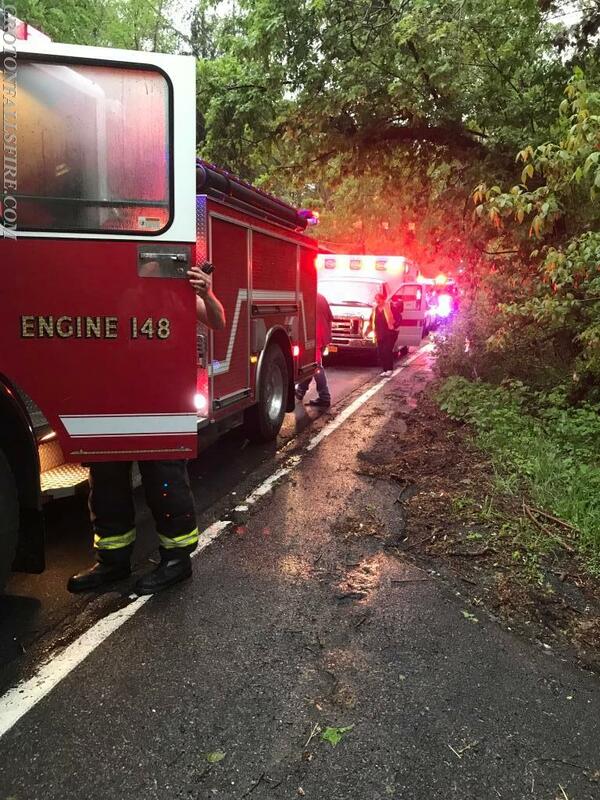 Firefighters handled multiple calls at once while the strongest part of of the storm was happening. A job well done by all involved and a thank you to our mutual aid departments who provided assistance. 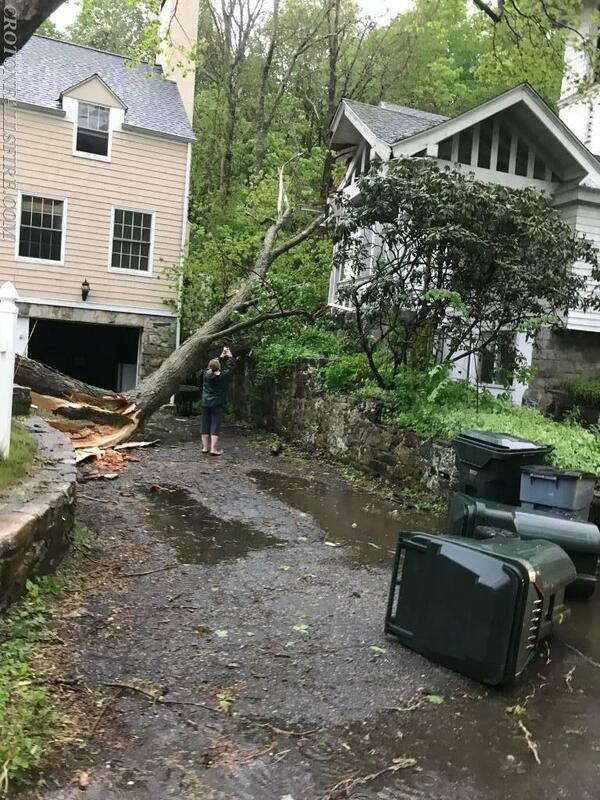 One of many fallen trees in town. One of many blocked roads. 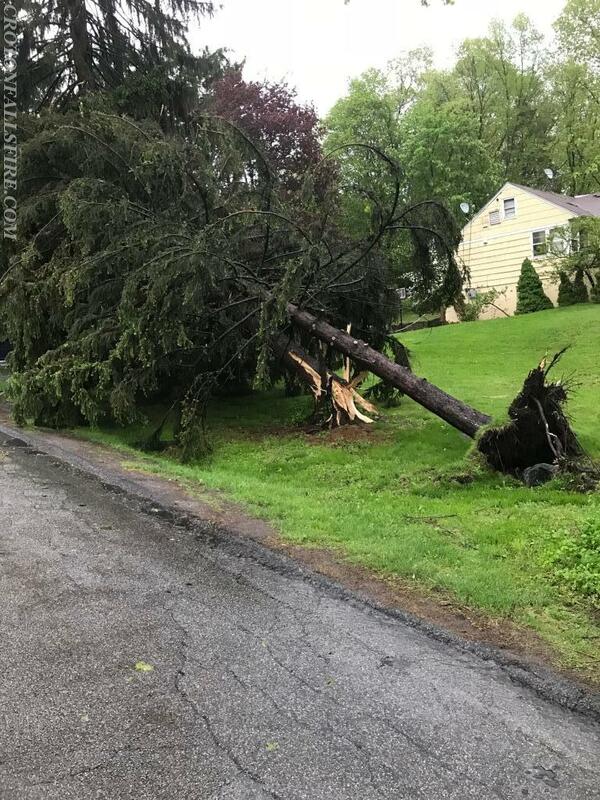 A mature pine tree felled by the high winds. Units on scene to assist the MTA. 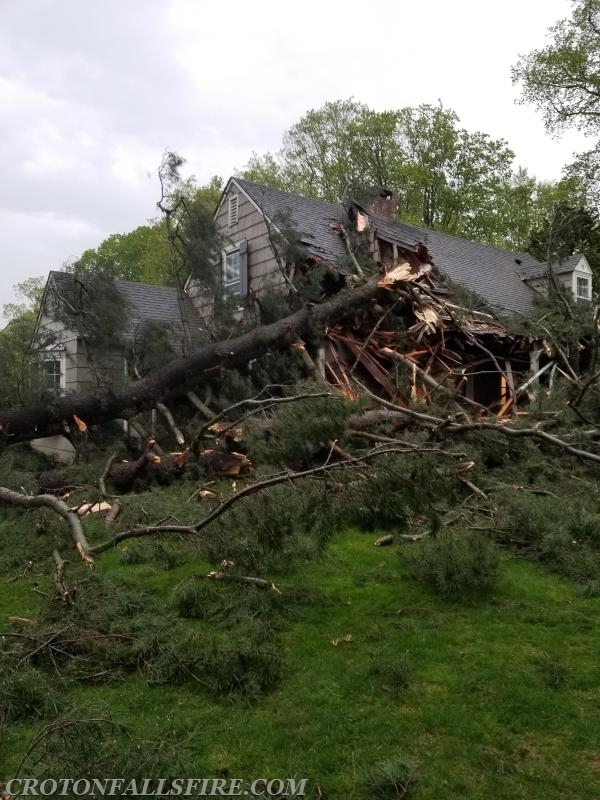 A home on Mills Road sustained damage from a fallen tree. There were no injuries.